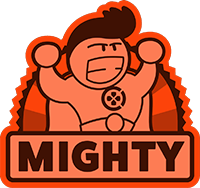 Mysterious Levels — Each level is strange and dangerously beautiful, introducing new puzzles, areas, and the creatures that live in them. World of Goo Balls — Along the way, undiscovered new species of Goo Ball, each with unique abilities, come together to ooze through reluctant tales of discovery, love, conspiracy, beauty, electric power, and the third dimension. The Sign Painter — Someone is watching you. World of Goo Corporation — Congratulations! World of Goo Corporation is the Global Leader in Goo and Goo Related Product, including World of Goo Corporation Trademark Brand Soft Drink Beverage and World of Goo Corporation Trademark Brand Facial Exfoliating Lotion. Succulent! Massive Online Competition — Human players around the world compete in a living leaderboard to build the tallest towers of goo in World of Goo Corporation's mysterious sandbox. World of Goo Corporation is contractually obligated to state that everyone is a winner and is enthusiastic to celebrate everyone's tower building opportunities equally. If you're new to World of Goo, there's no shortage of people who will plead its case or platforms to play on. I'm right there with them. After all these years, it remains a delight from damn near top to bottom. Nearly ten years after its original appearance, World of Goo shows that it still retains the quality and the gameplay that made it stand out from its competitors. While the controls may not feel as correct as they did with the original Wii game, this is a valuable addition to the Nintendo Swtich catalogue thanks to World of Goo's magnificent audiovisual component, finely developed gameplay involving the laws of physics and large amount of content. 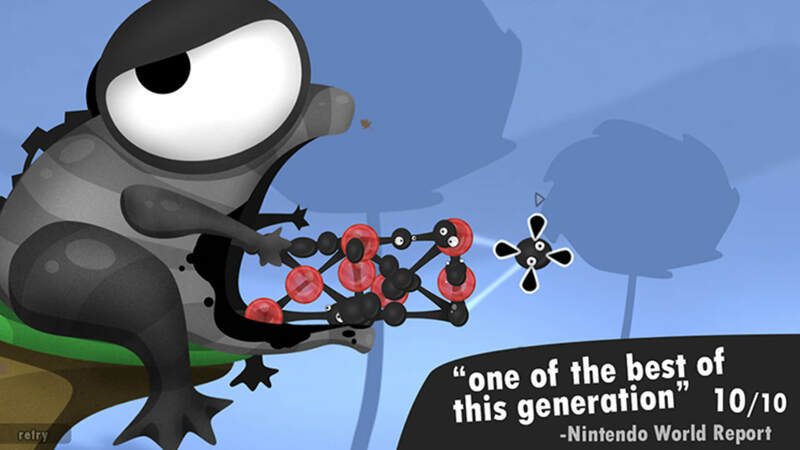 World of Goo is a true classic, and it's revered for good reason. It's instantly accessible but with plenty of depth; it's paced out perfectly, with a steady stream of new tricks and techniques to learn; and its puzzles can be solved with forward-thinking, quick reflexes or a mixture of both. 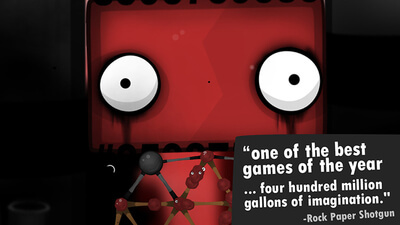 Wrapped up in a unique, pleasantly apocalyptic presentation, with co-op support and a harder 'OCD' mode for added replay value, this is a complete puzzle package. 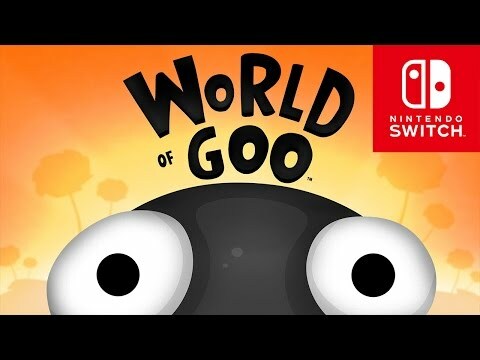 If you've played it previously, the Switch incarnation might be worth a second go for its portable pointer controls and on-the-go co-op, but if it's your first time into the World of Goo it's absolutely a must-play, and this is — in our minds — the definitive version.